Dubai, United Arab Emirates (May 11, 2017) – The Nissan X-Trail is the world’s best-selling SUV and the UEFA Champions League is the world’s largest annual sporting tournament. So what better place to kick off the next chapter of the Nissan X-Trail success story than at an exclusive event just hours ahead of the Final itself? 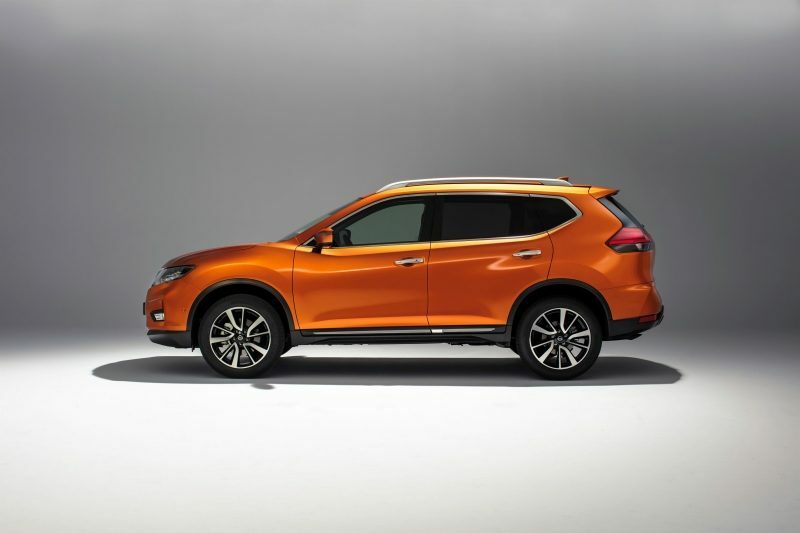 The enhanced X-Trail – the largest model in Nissan’s crossover line-up – features a range of upgrades which further improve its quality and refinement. They include a distinctive and robust new exterior, higher-quality interior with desirable new features and innovative new technologies to make life on the road even safer. There are also new levels of practicality for customers. Likely to prove a match-winner with Real Madrid or Juventus players is the new hands-free functionality on the electric tailgate, which is operated by simply kicking a foot under the rear bumper! 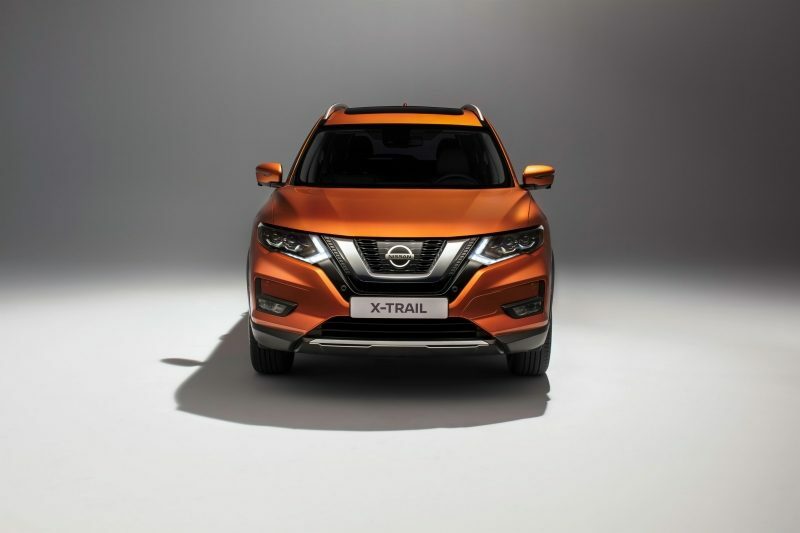 A highly capable five or seven-seat crossover, the enhancements to X-Trail are based on customer feedback and designed to reinforce its position as the perfect car for family adventures. Upgrades to the front of the X-Trail include a wider ‘V-motion’ grille, with a new bumper design that makes greater use of the body colour and includes a smart new gloss black finish. Revised headlamp clusters feature a contemporary new version of the X-Trail’s ‘boomerang’ Daytime Running Light signature. There is greater design differentiation between the halogen units and full LEDs, which feature Adaptive Front Lighting System (AFS) for the first time. The fog lamps are now rectangular instead of circular. At the rear, the bumper has been redesigned to give it a more robust look, with new chrome detailing. The light signature has been upgraded to full LED. The profile of the X-Trail has also been enhanced with new 17 and 18-inch wheel designs plus a chrome side moulding across the base of the two doors on range-topping Tekna grade. There are four vibrant new exterior paint colours – Orange Pearl, Red Pearl, Blue Pearl Metallic, and Dark Brown Pearl – in addition to the six which continue from the previous model. Enhancements to the interior include a new D-shaped steering wheel, which means easier entry and exit for the driver. Offering improved visibility of the instruments, it features new easy-to-use four-way controllers for reduced ‘eyes off the road’ time. It’s now available with integrated heating functionality for the first time. New materials have been used across the cabin, including on the seats where the leather is now of a higher quality. Heated seats are available in both the front and rear for the first time. A striking new black and tan two-tone leather interior is an optional extra on Tekna grade. Reflecting customer demands for a superior audio option, Tekna grade is now fitted with an all-new eight-speaker BOSE Premium audio system as standard. 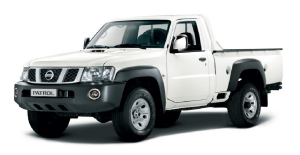 It’s the most complete sound system ever offered in a Nissan vehicle in Europe. DAB digital radio is standard for the first time, while the NissanConnect touch-screen satellite navigation features a smart new user interface that’s more app-like in appearance for easier use. It comes with a new ‘shark fin’ roof antenna for improved reception and a more contemporary finish. 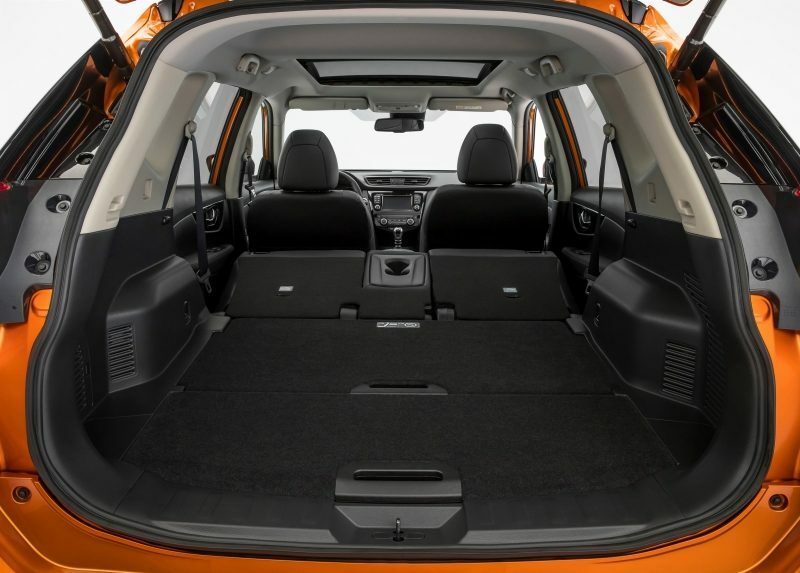 The interior versatility of the new X-Trail makes it perfect for adventurous families. It offers exceptional space and comfort, including best-in-class knee room in the second row of seats. The car has clever storage solutions and practical features, such as the sliding / reclining functionality of the second row seats. 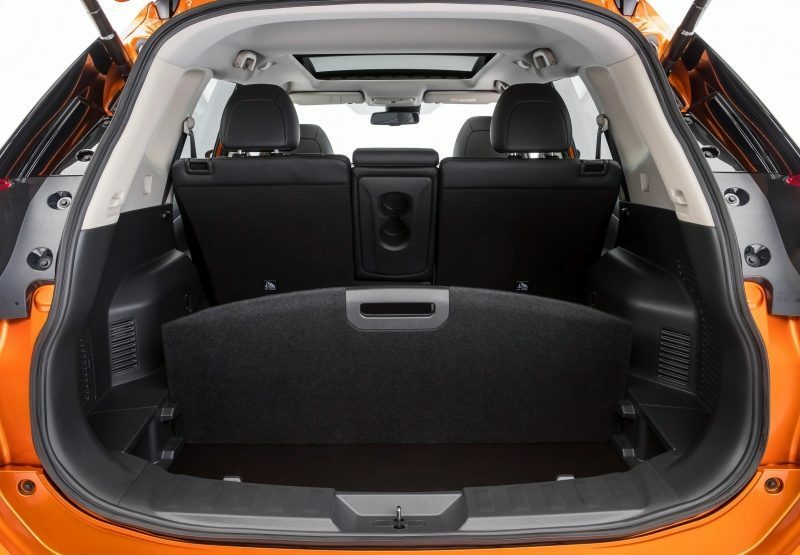 Thanks to revised interior packaging, the boot on the new X-Trail is now larger than before, with VDA capacity rising from 550 litres to 565 litres on the five-seat version. 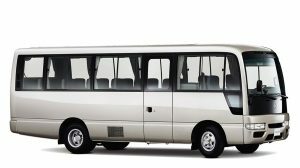 The total space with all seats folded rises to 1,996 litres. Every X-Trail boot comes with Nissan’s innovative Luggage Board System, which allows for shelves and dividers to be adjusted into any one of nine different configurations. These include a hidden compartment to keep valuables out of sight, making it the ideal base for family days out. For drivers seeking new levels of flexibility and greater freedom when they want it, the new Nissan X-Trail will be available with ProPILOT autonomous drive technology during 2018. ProPILOT will control the steering, acceleration and braking in a single lane on highways during heavy traffic congestion and high-speed cruising. 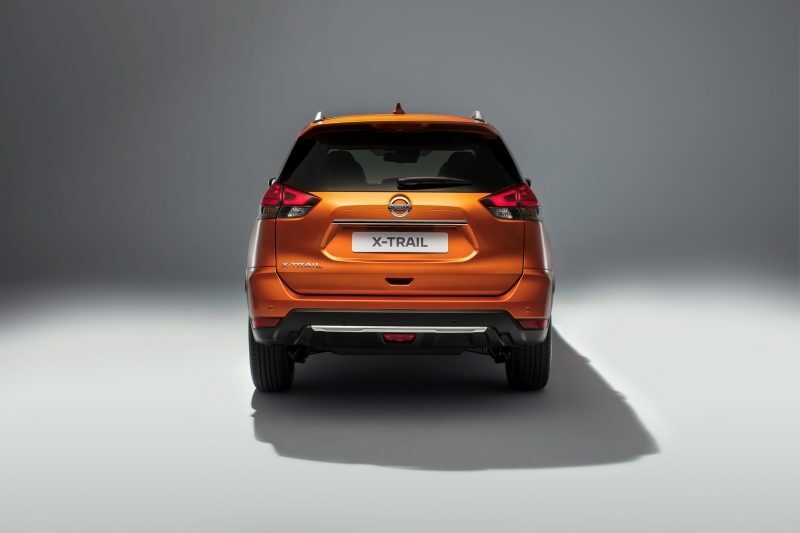 It’s one of a range of Nissan Intelligent Mobility systems which are new to the X-Trail. Others include Intelligent Emergency Braking with Pedestrian Recognition, and Rear Cross Traffic Alert. If the driver attempts to reverse when an approaching vehicle is detected, the system gives visual and audible warnings. The X-Trail’s range of three efficient engines remains, including the 2.0-litre 177PS diesel launched just last year. 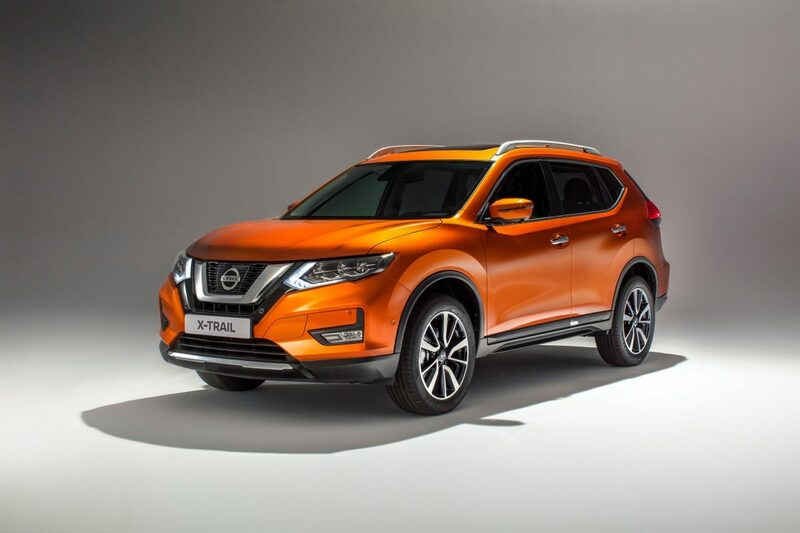 It means customers can pick the perfect X-Trail for their needs, with the choice of petrol or high and low-powered diesel, six-speed manual or CVT XTronic automatic transmissions, 2WD or 4WD and five or seven seats. Including the USA, where the X-Trail is badged Rogue, more than 3.7 million cars have been sold since the first-generation model was launched in 2000. That includes almost half a million cars in Europe, where the X-Trail remains hugely popular. Approximately 115,000 units have been sold in Europe since the all-new third-generation model was launched in 2014, and demand has grown significantly year on year; sales doubled from 2014 to 2015, and the total rose again by another 40% the following year. In FY16 the X-Trail (including Rogue) was the world’s most popular SUV, with 766,000 vehicles sold – more than any other rival model. 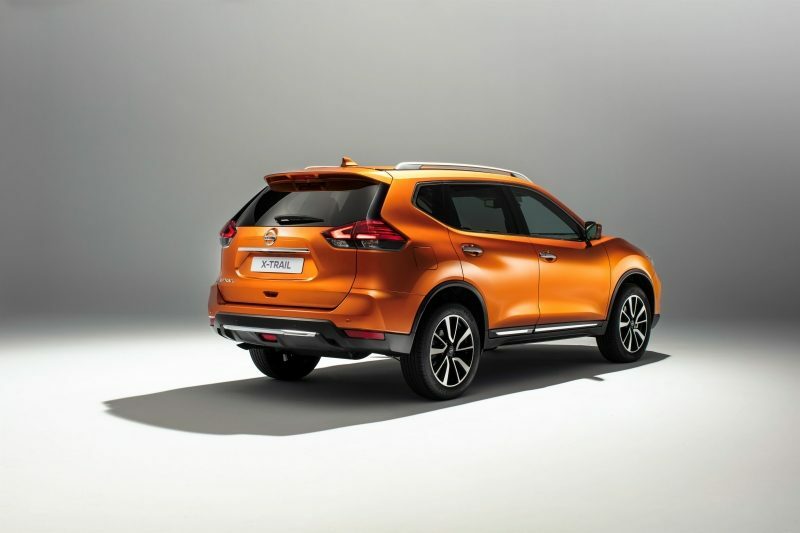 The new Nissan X-Trail will be on sale from August 2017.